Check out some of the beautiful photos of these species. These species are mostly found in parts of Southern Asia. Infact they also inhabit the warmer regions across the globe. 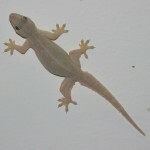 They are more popular as small lizards that wander on the walls of ones house. They keep the homes safe from spiders and other insects. The size of these species varies from 3 – 6 inches. These species possess a concave forehead. They have giant eyes devoid of eyelids. The shape of their head is triangular adorned by round and small ears. 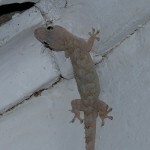 The tails have glossy scales. There are small granules present over the whole body. 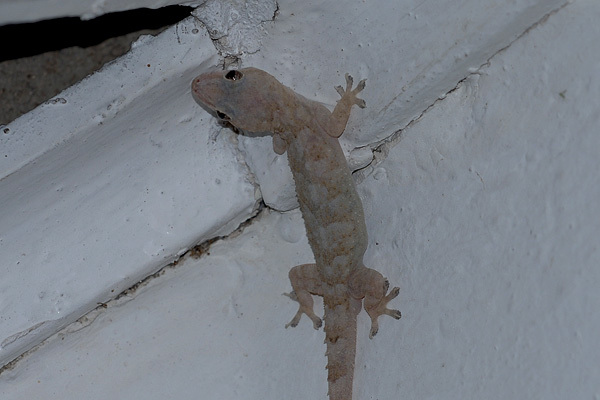 The color of these species ranges from grayish white to pale yellow. They possess limbs and body that are medium in size. These species inhabit in parts of Taiwan, Polynesia, Somalia, Madagaskar, Andaman and Nicobar Island, Bangladesh, Nepal and Bhutan. Infact they are now also found in Australia, Mexico, Brazil and USA. These species are mostly active during the nights. When they sense something wrong, they quickly get back to their homes. The males produce a sound in order to attract the females for mating. These species can even withstand cold climate and can withstand the hotter months as well. These species like to have small insects in their diet. 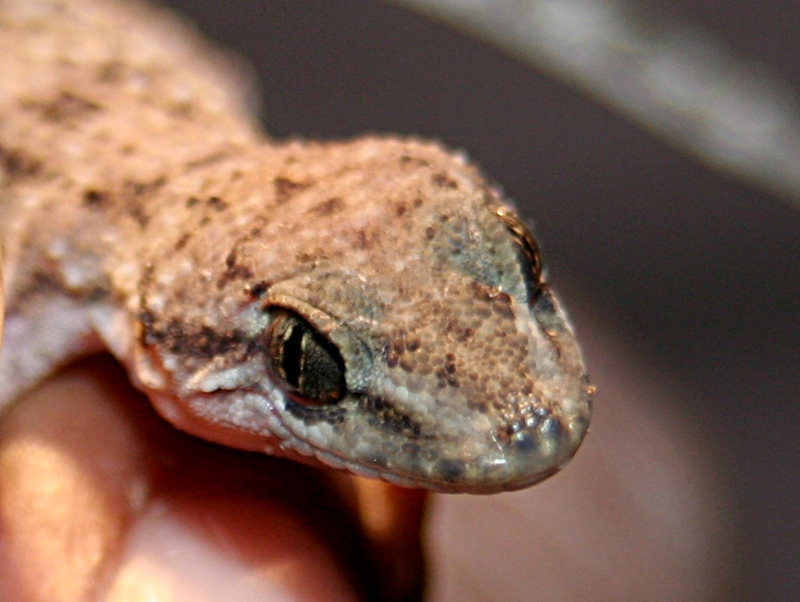 The House Geckos are abound in human homes. One can frequently observe them climbing on the walls. 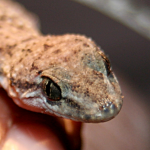 They can even be spotted in areas of tropical rainforests. In addition to this, they can also be found strolling in the dry lands, shrubs and bushes. It is very interesting to note that these species attain sexual maturity in one year. The mating period extends from March and continues up to July. It is seen that between months of April to August female counterparts lay only one or two eggs. In case of females, the stomach area is translucent so one can easily get to see the eggs within. One can pet these species by keeping them in an enclosure. 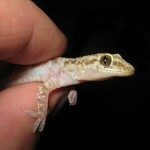 Moreover, the House Geckos do not come costly at all. It is tough to manage these species, as they are move very promptly. They can rise up the wall very easily. In order to pet them, it is necessary to get veterinary solutions regarding these exclusive species. Proper Housing: It is advisable to keep a terrarium that would allow these species to climb on the walls. Proper Substrate: One should make sure to provide 2 – 3 inch of substrate in the terrarium. This helps to maintain the level of humidity desired. 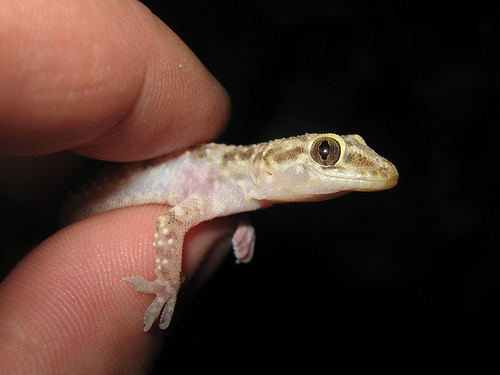 It is advised to give substrate like coconut fiber that is liked by reptiles. 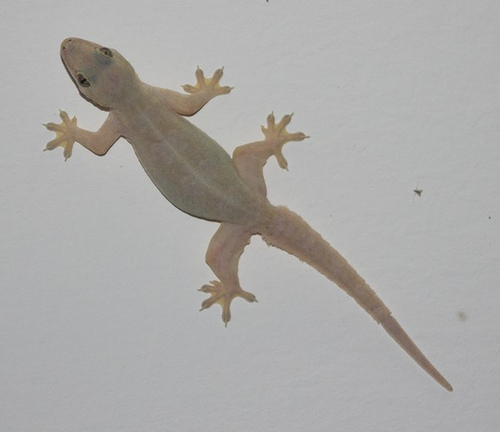 Proper lighting: The house geckos require UV light as this is good for their health so loads of UV light should be helpful. Proper Temperature: During the day, the temperature should be between 77 to 88 degrees while nightime temperatures should be less than 70 degrees. One can make necessary adjustments with the temperature by using the heat mat or ceramic heater inside the vivarium. Proper Feeding: It is necessary to feed the younger ones on a regular basis while the elder ones can have food in alternative days. They like to feed on crickets, silkworms and other types of small insects. Proper Humidity: The humidity should be between 60 – 70 percent. They usually drink water from the wet areas. Other Accessories: There should be trees and branches so that these species can climb about. One should take care to reduce the number of insects in the house so that survival outside the homes become easier. Glue trap should be helpful in this regard. Sealing the ventilators and holes through which they enter houses and the rooms. It is necessary to reduce the night temperature to keep them at bay. These species live for about 5 years. These species are not in the list of those endangered. They prefer to live on the land and can struggle a lot for survival. Therefore, they can pose a threat to other small insects on which they feed.